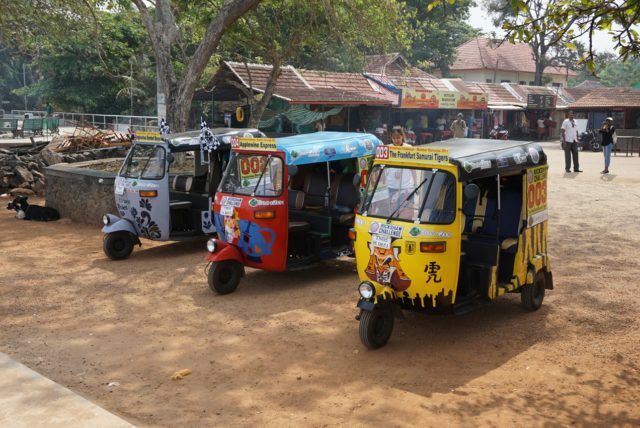 Let’s look back at the Malabar Rampage Rickshaw Challenge 2017. 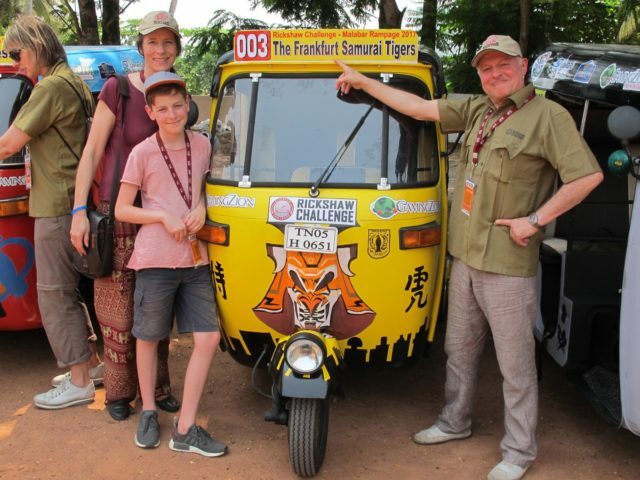 Julia Krohmer was a participant on the Malabar Rampage Rickshaw Challenge 2017, along with her team: the Frankfurt Samurai Tigers. We asked her what she thought about the challenge and for her to recount some of her favorite moments were. Here are our questions, her answers, plus her wonderful photos from the event! 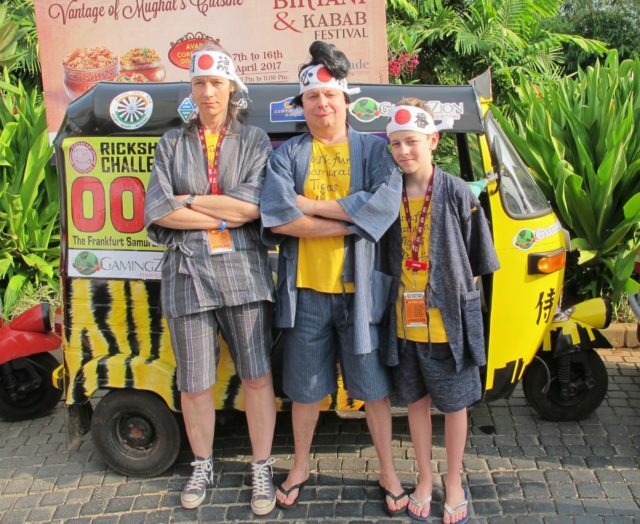 She provides great insights for anyone considering signing up for a Rickshaw Challenge. Why did you decide to sign up for the Rickshaw Challenge Malabar Rampage 2017? A friend of ours (Uwe Harmening) had participated in the Classic Run three years ago and was so happy and excited about this experience that he quickly convinced us to join in as well. We expected an adventurous (without stress) and funny travel experience off the beaten path in a beautiful country – and that’s exactly what we got! But we got even more: The great exchange with the many other teams, the international atmosphere among all participants, and the easy and enriching contact with the population all along the trip. There was not one – we found the traffic in fact amazingly organized, based on a lot of mutual communication and attention and some common rules respected by all traffic participants – which made driving often more enjoyable than on many crowded European streets, where all drivers insist on their rights and rules. Driving in India was somehow smoother, way more flexible! I was only really shocked by the horrible health condition of some of the stray dogs we saw. What was your most positive experience during the Malabar Rampage? 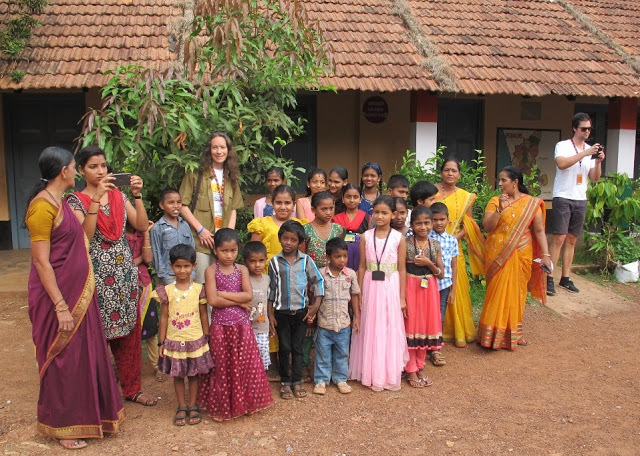 The warm and welcoming reactions of the local people and the beauty of the Indian landscapes. How many breakdowns did you have and what did you learn about fixing a rickshaw? Just one – not enough to learn anything, as the mechanics reached us so quickly and fixed the problem! But we essentially understood that with some basic notion of mechanics, it would be feasible to do some simple repairs by oneself! And we learned that there is not much need for mileage counter and tachometer – ours didn’t work from the beginning – and we didn’t miss them. Describe Southern India in one word or sentence, which doesn’t include coconut or coconut tree! Warm, rich, colorful and savory landscapes, cities and people! What is your most “only in India” experience? After having bought silk clothes and spices in Kochi waiting for the ferry in line with our fellow teams and lots of others rickshaws, cars, travellers, motorbikes and people, in the shadow of beautiful old trees – and then seeing dolphins during the ferry ride! Do you have any recommendations, any good advice for future participants? Dive into this adventure with all your senses, step back from your normal sight/attitude on how things have to be, and don’t skip any of the day challenges for being too lazy or shy – they are the most fun part of the whole experience! Don’t rush through the days – better often stop at the roadside, to sip a chai or a cold sugarcane drink (sooo delicious!) or eat some handmade local delicacies at small food stalls. And visit the Indian Coffee House wherever you can – delicious, original and affordable! Previous postWhat Makes Thessaloniki Special?